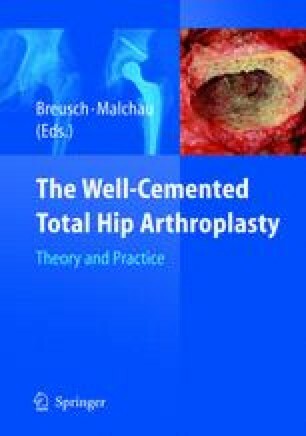 This chapter considers the principles behind the design of cemented femoral stems and concentrates on the issues that are important to the surgeon when selecting a stem for use in clinical practice. Two main issues are central to a surgeon’s choice of implant in hip replacement surgery: long-term function of the prosthesis and the versatility of the hip replacement system. The first part of the chapter examines how stem design may affect fixation of the stem within the femur and the long-term performance of a hip replacement. The second part of the chapter considers the needs of the surgeon in the operating room and how design of a cemented stem system may help the surgeon recreate each patient’s anatomy and thereby achieve the optimum outcome.